MarqART is the perfect amalgamation of the ancient craft of Marquetry with modern woodworking techniques and innovative processes in capturing artistic images in wood. 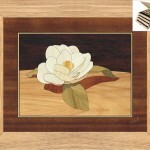 The word MarqART actually comes from combining the words Marquetry and Art. We believe the combination of these words perfectly describes our MarqART Wood Designs. The art of creating intricate designs by fitting together individually cut pieces of thin wood, ivory, metal, etc. The intelligent and skillful means of creating something beautiful.